In my mind there are always two things I associate with Italy and that is espresso and gelato. Not a day goes by while we are in Italy without Dave and I stopping off a few times for a quick espresso. We stand at the counter in the coffee shop and place our order in Italian. Without us having to wait too long, our choice is placed in front of us. I prefer machiatto and so give mine a quick stir before drinking down the contents. Despite Italy being famous for coffee and coffee machines, no beans are grown there. Our afternoons are never complete without a gelato. Italy is just as famous for its wide choice of fantastically made ice creams as they are for their coffees. My favourites are hazelnut, chocolate and coffee! Dave does not like coffee ice cream so I tend never to make it at home. 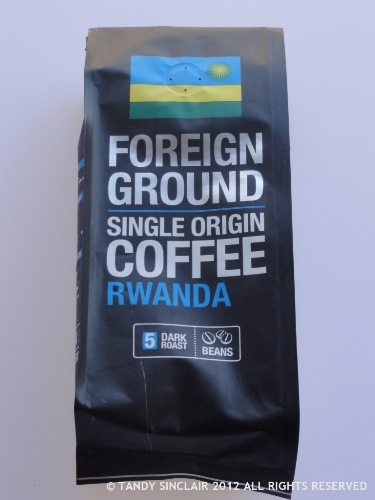 Earlier this year I attended the launch of Foreign Ground single origin coffee. These coffees come from the finest coffee regions in the world. They are available at our local Checkers stores and retail for R50 (€5) per 250g bag. I was sent home with a bag of beans from Rwanda and during the tasting session I found these beans to result in a fruity coffee with a hint of pink peppercorn. I thought this would be a perfect bean for my gelato. I associate gelato with Italy too Tandy . . . I loved tiramisu gelato and had it quite often while there. However, I love the sound of your orange gelato with the hint of espresso. I’l love some right now! I’ve been making a dedicated effort to make more home made ice cream this summer. This has made my husband very happy indeed! Creamy lemon is definitely a favorite as is black licorice. We have a local shop that does both! oh wow, I am so going to make licorice ice cream! It’s been just warm enough that I’d love a sweet bowl of this creamy Gelato! We’ve just decided to go to Tuscany late April and I had forgotten about the Gelato! Yay!! 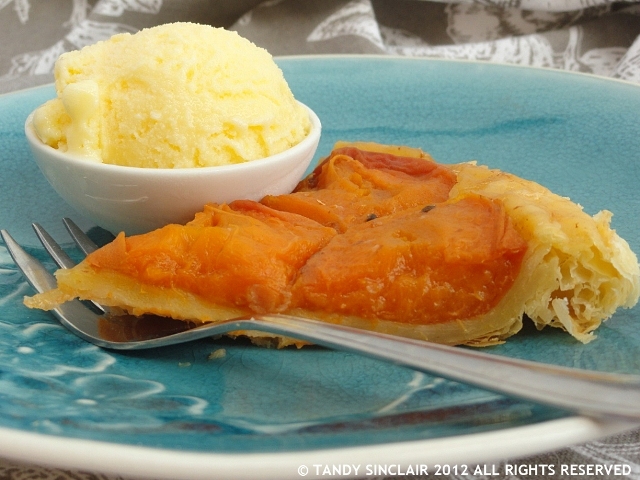 A lovely ice-cream, tandy: looks very yummy too! My favourite ice-cream flavour of the moment is cashew, banana & carob ice cream: home-made of course! I just had hazelnut gelato the other day…one of my favorites. Your citrus and coffee one sounds so intriguing…wish I had an ice cream machine. I’ve never thought to pair citrus with coffee…quite intrigued! surprisingly, it worked very well! I eat ice cream once a year if that and if I had a choice it would be chocolate.